Learning is, by its very nature, a dynamic process. When you stop learning, it has the same effect on the brain that inactivity has on the body: decline. This is never more true than in the specialty of plastic surgery. The hard part is separating the hype from reality. Much that is promoted as Â“newÂ” and/or Â“betterÂ” is largely marketing hype and an attempt to reap a financial windfall by being the first with the newest rather than true progress. That said, the new buzz word in facial rejuvenation is Â“volumeÂ”. This has even spawned a new verb: volumizing. As we age, several things happen related to changes in our skin, fat, and muscles, and to the relentless effects of gravity. In the face we see wrinkling, sagging, and volume loss. 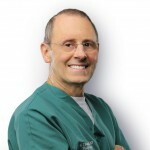 The first two have been recognized for decades and have been addressed with a plethora of procedures ranging from chemical and laser skin peels to major surgery, e.g. facelifts. Volume loss has only been really addressed relatively recently. One of the effects of aging is loss of fat in the face. This is sometimes offset by the all too common weight gain that many women, and men, experience with age. If your weight remains relatively stable throughout your life, however, you will likely see loss of facial fat volume. This can worsen the sagging of the skin of the face and give rise to an aged, sometimes gaunt, and severe look to the face. This has fed the popularity of commercial facial fillers such as Restylane, Juvederm, Radiesse, Perlane, Artefill, Boletero, and others. These are only good for creases, fine lines, and/or wrinkles and do not provide true volume replacement. Until now, only two injectables have provided true volumizing. One is Sculptra, a synthetic, commercial filler originally developed to fill in the gaunt faces of patients with HIV/AIDs. Sculptra is expensive in the large quantities typically used. The other is oneÂ’s own fat. This is close to the ideal filler because it replaces exactly what is missing. Fat grafting is laborious since the fat must be harvested by liposuction, washed, then injected. It requires that the transferred fat survive where it is placed for the process to be successful. While most grafting is successful, results cannot be guaranteed because the grafts do not take 100% of the time. Fat grafting does not work as well in older individuals, those who often need it most. Some say 65 is the upper limit of age for fat grafting, others 70, or 75. Both Sculptra and fat grafting are more for people that have severe facial wasting, not those who need a little mid-face volume enhancement to restore the soft curves of the cheek and lower eyelid hollows. 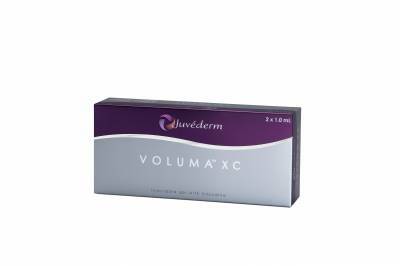 Now, there is a new product, Juvederm Voluma XC. 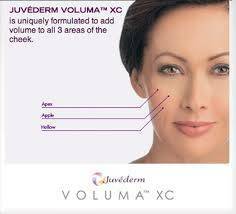 Voluma is the same material, hyaluronic acid, found in regular Juvederm and Juvederm Ultra, but the molecules are more tightly bonded to one another making this material more substantial. It is FDA approved for adding volume to the midface, where aging often creates a loss of fullness. Voluma can restore the soft, natural fullness of the midface and even improve the creases along the nose that bother many women. It can soften or eliminate the trough or groove under the lower eyelids. Voluma injections are quick and pain is modest and does not last beyond the injection process, much like other injectables. There is usually no Â“down timeÂ” for recovery. The exception would be in cases of bruising which might require a week or two to fade enough to be covered by makeup. Voluma lasts about two years. I am always skeptical about new products because so many of these fail to deliver on their promise. 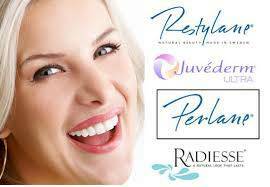 Juvederm and Juverderm Ultra have been excellent products in our hands, very effective and with a stellar safety profile. I expect that Juvederm Voluma will be much the same. We are introducing Voluma into our practice for those patients who need a little volume.